Prayer nurtures the life of the family. It opens hearts, melts away resentments, fosters gratitude, and becomes a fount of grace, peace, and joy for the entire family. 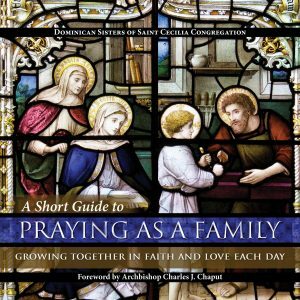 A Short Guide to Praying as a Family, written by our sisters as an aid for families who desire to grow in their lives of prayer, is illustrated with photographs of stained-glass windows from many different areas in the world. In simple and engaging language, the book directs families step-by-step in beginning to pray together and in deepening their prayer. Families who have used this book say that they have found especially helpful the sections on how to begin family bedtime prayers, the monthly family meeting, and praying with one’s spouse. They have commented that this guide is simple, practical, and profound. 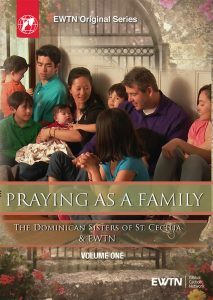 “Helping children learn the habit of prayer,” writes Archbishop Charles Chaput in the Forward, “becomes one of the most important lessons a family can share.” The Dominican Sisters and EWTN have worked together to create a television series, Praying as a Family, based on this book. Currently the series is in its second season. Click here for a preview of this book. This book is also available in Spanish, entitled Una invitación para Orar en Familia. Click here for a preview. To purchase this book, visit our Bookstore or St. Benedict Press. Ever wonder if other families are going through the same things yours is? Join the Dominican Sisters of St. Cecilia as they step into the homes of Catholic families around the country for a closer look at the domestic church at work. 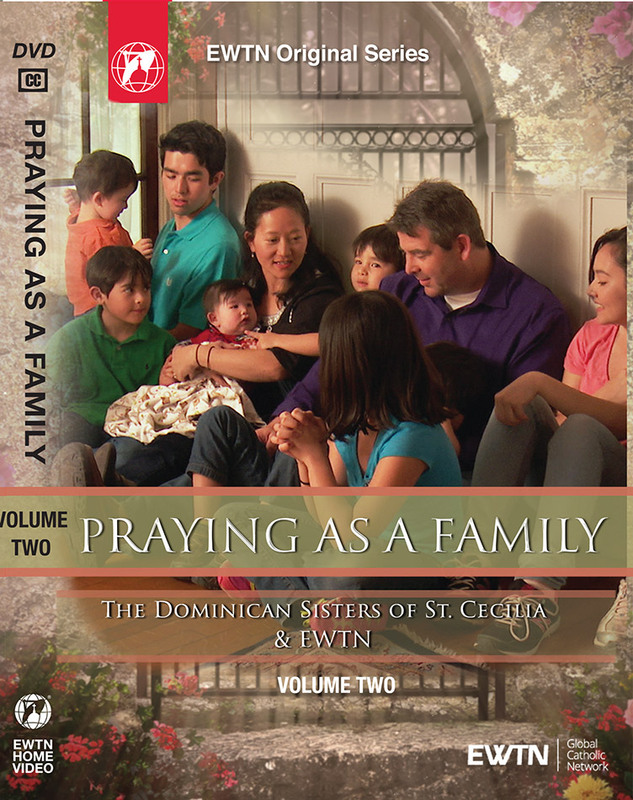 As they share their personal joys, struggles, and sorrows, they reveal how "Praying as a Family" has helped put Christ at the center of their lives, and strengthened them and their Catholic faith! Produced by the Dominican Sisters of St. Cecilia and EWTN. To purchase the DVDs, visit our bookstore. If you would like to request a Praying as a Family presentation for your parish, school, or other group, email Sr. Mary Justin at smjhaltom@op-tn.org. Additional information and resources are found below.